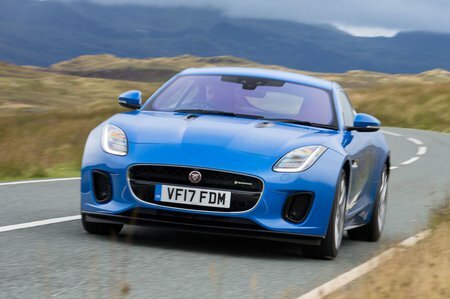 Jaguar F-Type 3.0  Supercharged V6 R-Dynamic 2dr Auto AWD 2019 Review | What Car? What Car? will save you at least £6,125, but our approved dealers could save you even more. The 375bhp V6 offers a noticeable step up in performance over the 335bhp car, plus it sounds a lot better, thanks to its standard switchable sports exhaust. This engine is available with a choice of rear or four-wheel drive and a manual or an automatic gearbox.